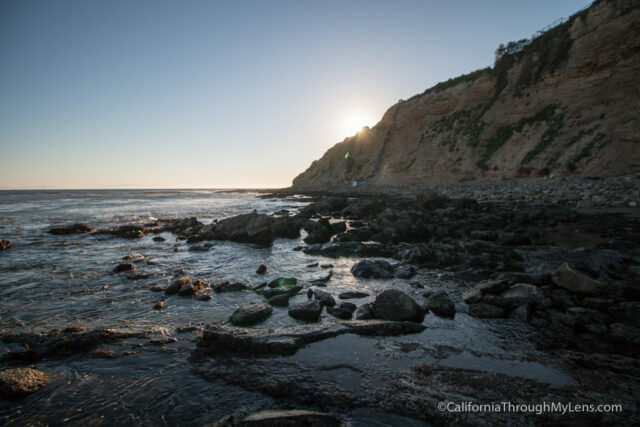 Cabrillo Beach sits out on the edge of Point Fermin in the town of San Pedro. 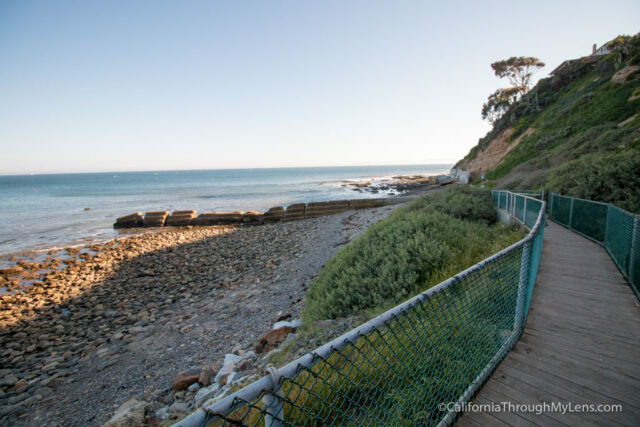 This beach has historical significance from the bath house that sits on the sand, but it also has a beautiful collection of tide pools about a quarter mile from the beach and the infamous Sunken City if you keep going around the bend. 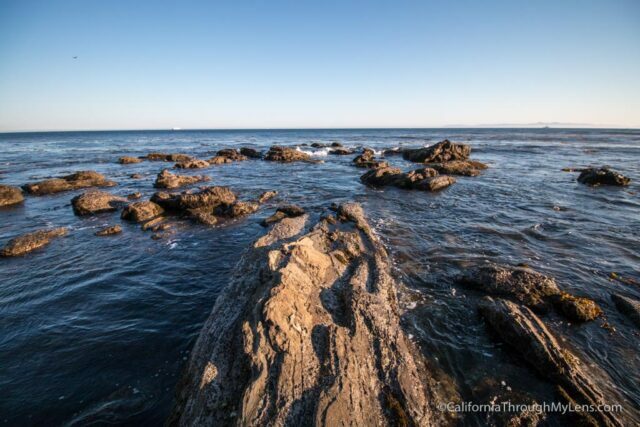 If you are a fan of tide pools like I am, then make sure to add this spot to your list to check out, here is all the information. 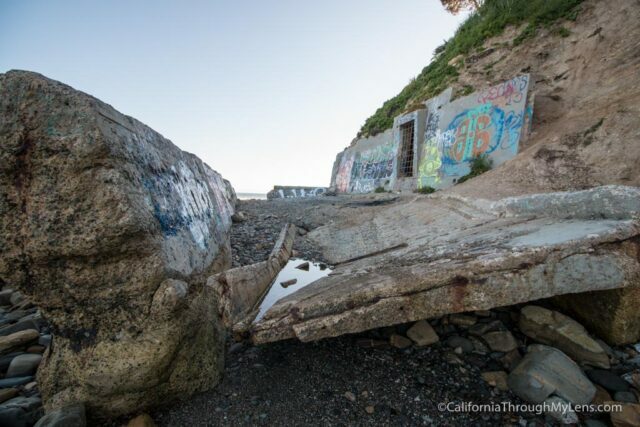 Also, I know you are not supposed to access the sunken city from the Point Fermin area, which is what a lot of people do, but I have no idea whether walking up from the beach to the sunken city here is allowed either so proceed at your own risk. Less than .5 mile round trip to the tide pools. 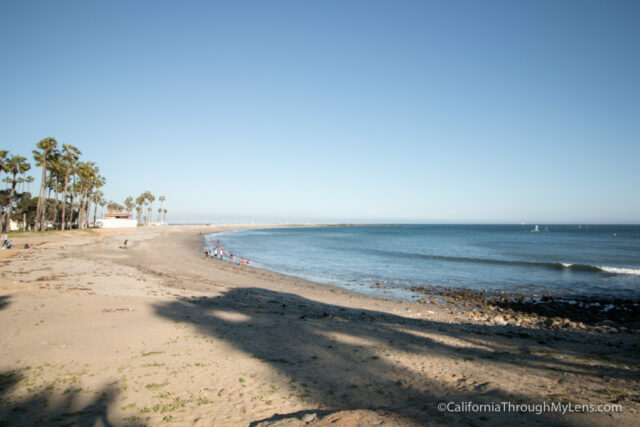 From downtown San Pedro you will want to head south on Pacific Avenue. From there turn left on Stephen White Dr. then left again on Oliver Vickery Way. This will lead you down to the beach house and aquarium. After parking, proceed to the right side of the beach, which is where you will be starting the walk from. The beach itself is really nice and it is a great place to spend a half day relaxing in the sun and water. There is also a small pier here that you can walk out on. From the beach there is an elevated platform that will take you over to the tide pools. This platform ends right at the remains of an old WWII bunker that used to sit on the beach here. The remains have graffiti on them now but it is still interesting to see. 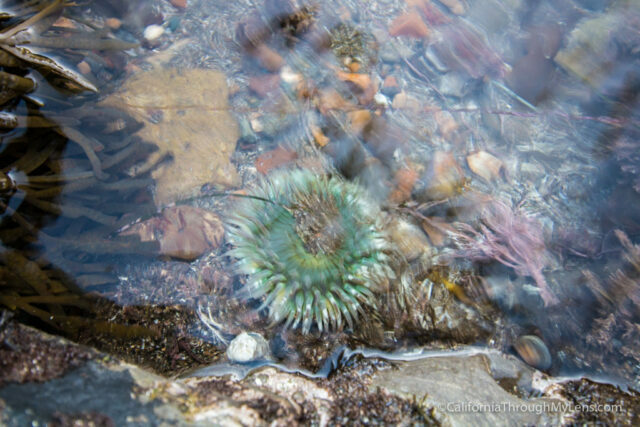 This is where the tide pools begin and the best time to see them is of course at low tide. When I went the low tide was at about .9 feet and you really want it to be 0 feet or negative to see the best stuff. You can get a tide schedule here. 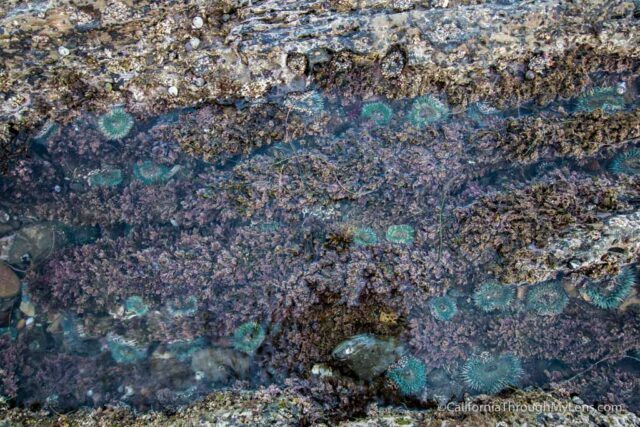 I was able to walk around and see a lot of sea anemones though. 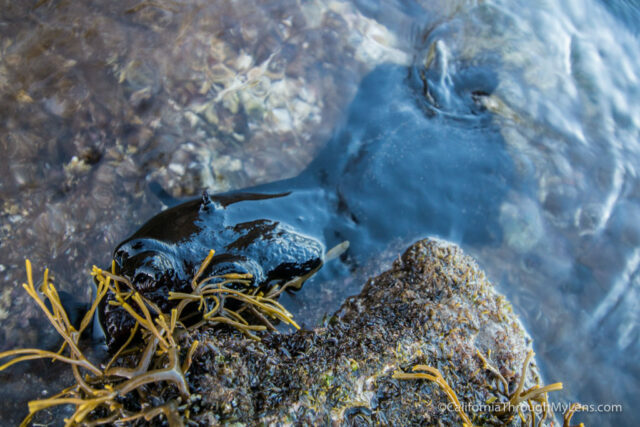 Also, I got lucky and saw a big sea slug as I was about to turn around and head back. It was fun to see this creature holding onto the rock and looking for food. 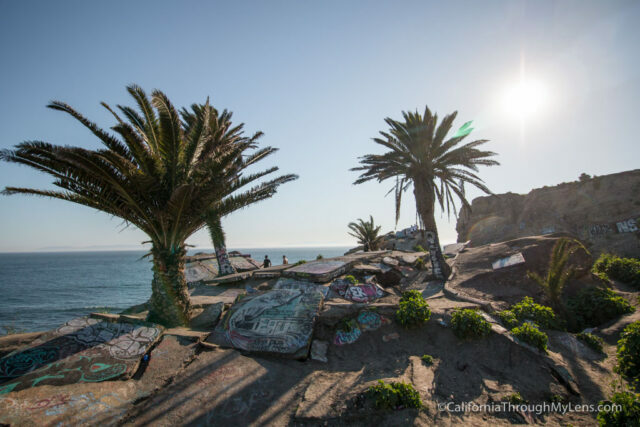 If you want to see the sunken city you will continue around the bend until you see some fallen pieces of concrete, graffiti, and trash, which are marks of this popular spot. You can head up the hill here and you will be right in the heart of the city. Do be careful though as the trail is a little steep and there is a lot of broken glass around. Again, I am not sure if access to this spot is allowed from this direction or not. 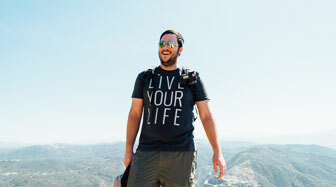 All in all, this is a fun little adventure in Southern California. 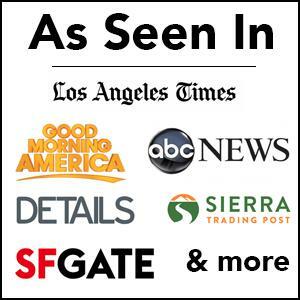 I recommend you pair it with the awesome Cabrillo Marine Aquarium if you go as well. Let me know what you think in the comments.